Poo-Pourri is a blend of essential oils that virtually eliminates bathroom odors! 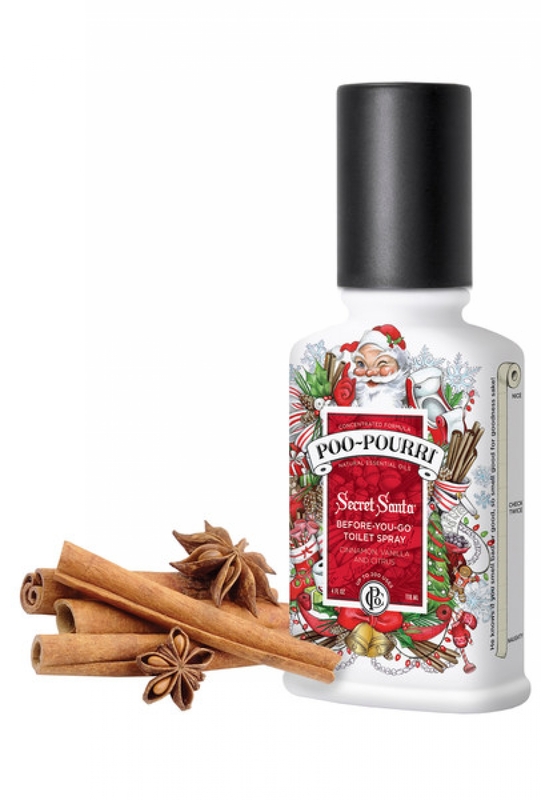 Secret Santa scent toilet bowl spritzer is a delightful blend of cinnamon, vanilla and citrus. Spritz the Bowl Before you go and no one else will ever know! Bottle measures 118ml. Also available in a travel size here.